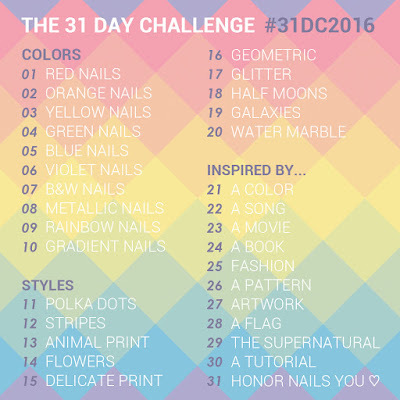 Who ever said that posting nail art challenges had to go in order, right? Haha. 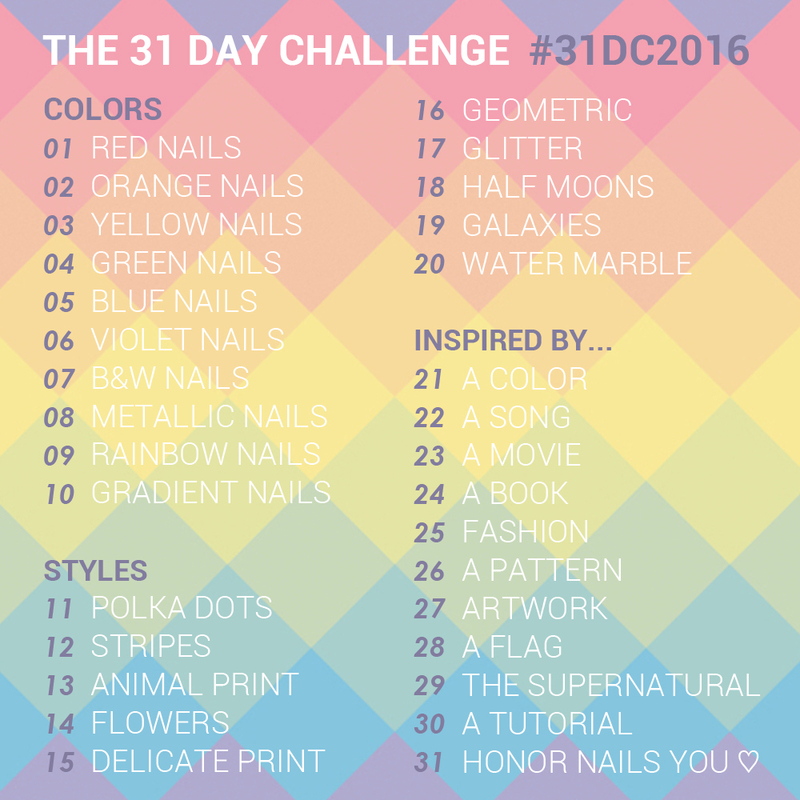 I'm going back a few days in prompts to share my Polka Dot look for The 31 Day Challenge! 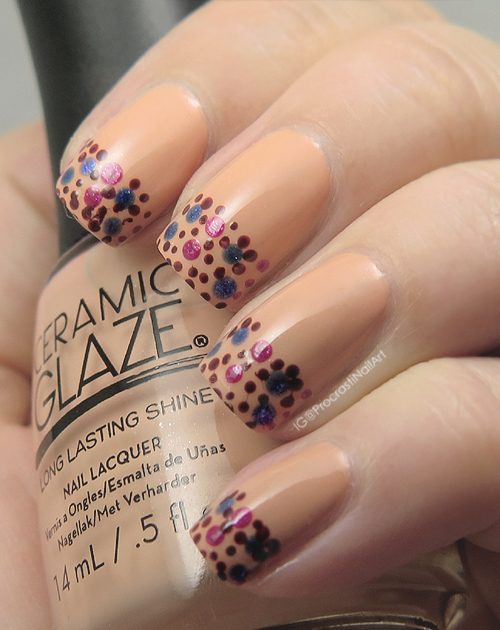 I started with a base of Ceramic Glaze Urbane (swatched here) and then added a roughly similar dotting pattern across each nail tip with Butter London Tramp Stamp, Scouse and Pistol Pink. The blue actually looked more purple in the bottle so I was surprised with how it ended up on the nail. It will definitely need a full swatch in the future! I feel like making a clever dot-related comment to end this post off with, but I can't think of one.. Hmm... 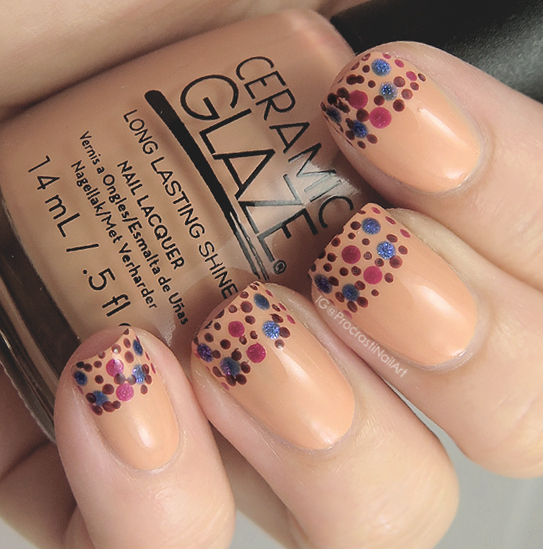 It's DOT-tacular? Maybe? No? Haha. 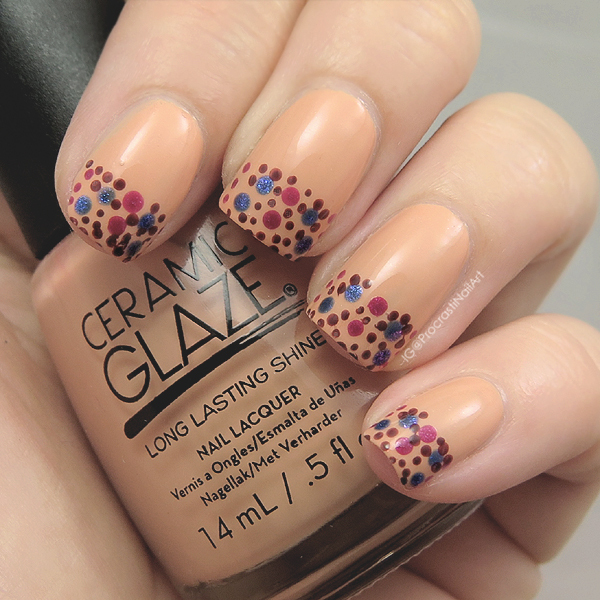 Some neat dotting happening in this mani.